Utilizing social media as a marketing tool in today’s world is essential for any business, big or small. Did you know there are over 3 billion people using social networks across the globe? With more social media users today than ever before, it’s time to take advantage of this fast, inexpensive and effective way of reaching almost half the world’s population. Social platforms increase awareness about your brand while building a connection with your customers, which can boost your leads and sales. If people don’t know about your business, how can they utilize your services? Social media increases your visibility among potential customers, which lets you reach a wider audience. It’s time to get your name out there! When a social campaign is executed correctly, it simultaneously advertises your product while entertaining your audience. This dual force gives customers a sense of loyalty to your brand. When they enjoy seeing your posts on their timeline, they will be more likely to support you over your competitors. This is because they will recognize your business name and feel a personal connection to your company. According to a study done by Forbes, 78% of customers rely on companies’ social media posts to help them make purchasing decisions. Are you more likely to shop at a store with a run-down and empty storefront, or one with a beautiful window display? Your social media presence embodies that same level of power. Maintaining robust profiles with relevant content will relay that your company is trustworthy, knowledgeable and legitimate. It is clear that social media is no passing trend. With so many potential benefits for your business, there is no reason not to get started today! Lindsay is a native of Wilmington, North Carolina. She moved to Charlotte after graduating from East Carolina University to pursue a career in marketing. Her love for writing, designing and communicating with others made her a perfect fit for the social media team! She loves her position at Townsquare Interactive because of her coworkers and the different opportunities to grow in the exciting world of social media. 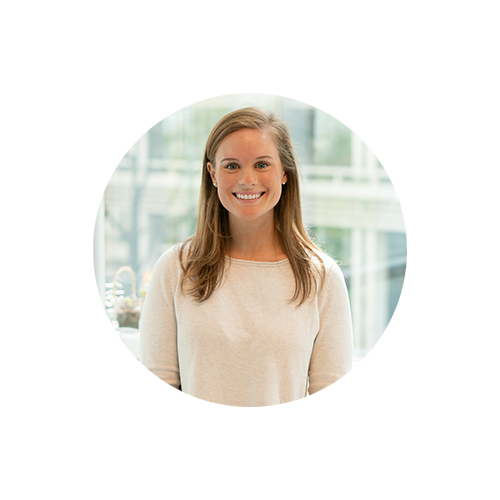 Lindsay enjoys exercising, spending time with loved ones and exploring all that Charlotte has to offer!